Brekky with Kirste and Morro took the show on the road to Padbury Primary School for the station’s fortnightly Free Coffee Friday broadcast — unfortunately this time, minus the Kirste part as she was off sick. In her absence producer Corey who is regularly heard either being the show’s third umpire, adding a story to their Top That segment or contributing to the usual sleep-deprived shenanigans that comes with being part of a Brekky show jumped into her co-host seat. The School’s motto, ‘Caring for the Future’, was illustrated not only by the creatively artistic murals seen all throughout the school, but also depicted through the lasting interaction between current students, previous alumni, parents and Padbury Primary staff. As a relatively smaller school, principal Neal Woods said the success and happiness of the school came down to a community effort — internally and externally — and creative projects. “We have worked hard to build up the confidence of the local community. We have fantastic staff and parents who are involved in all sorts of events promoting the school, a chaplain seeking to organise community outreach, putting together fundraising to resource the school. It is a real community effort; it’s not just from the staff but from the parents as well,” he said. Sue Arkley, who orchestrated the murals painted across the entire school, joined Morro and Corey on-air to discuss how the art brought the students, staff, and parents together as they crafted something unique that makes Padbury standout among the rest. “We thought it would get the community together by the kids cooperating and sharing, the teacher’s tolerance, all combined with serving the community,” Ms Arkley said. 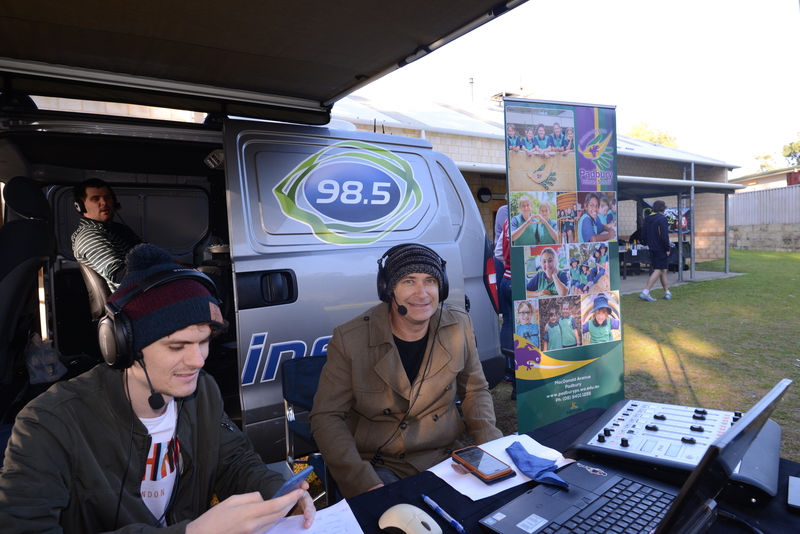 Morro and Corey also caught up with YouthCARE’s Jade Crompton (and one of 98five’s The Gospel Show hosts) who has been involved in a multitude of school and community aspects as school chaplain over the past four years. 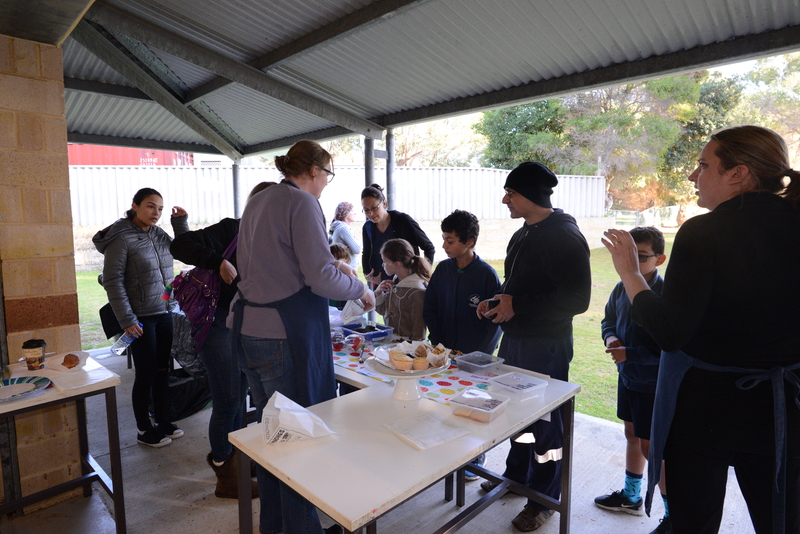 And as Brekky does best, they felt the family vibes by breakfasting with members of the school community as they were showered with various type of breakfast dishes and sweet treats. “Everybody is here for everybody and I know people say it all the time, but it really is like a family here. There is nothing they won’t do for each other; I have seen it in action,” Ms Crompton said. 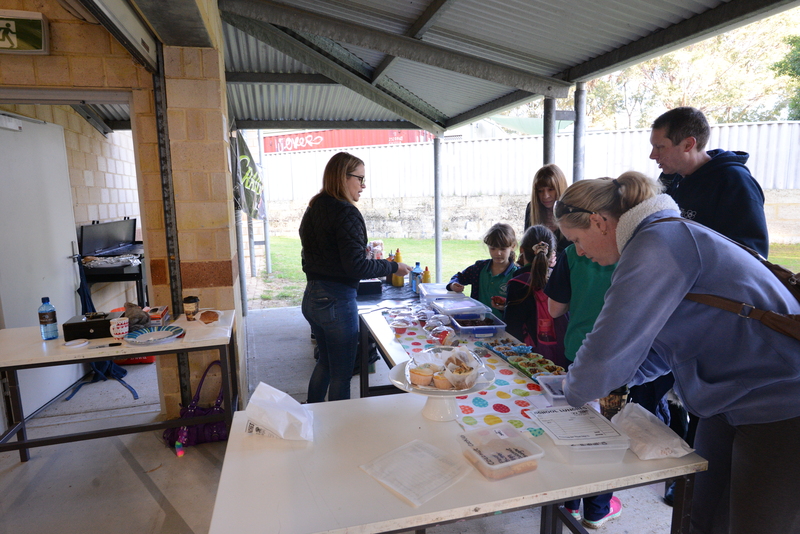 Teachers and parents experienced an early morning pick-me-up thanks to free coffee and donuts supplied by friend of 98five, ice cream van man, Paul. 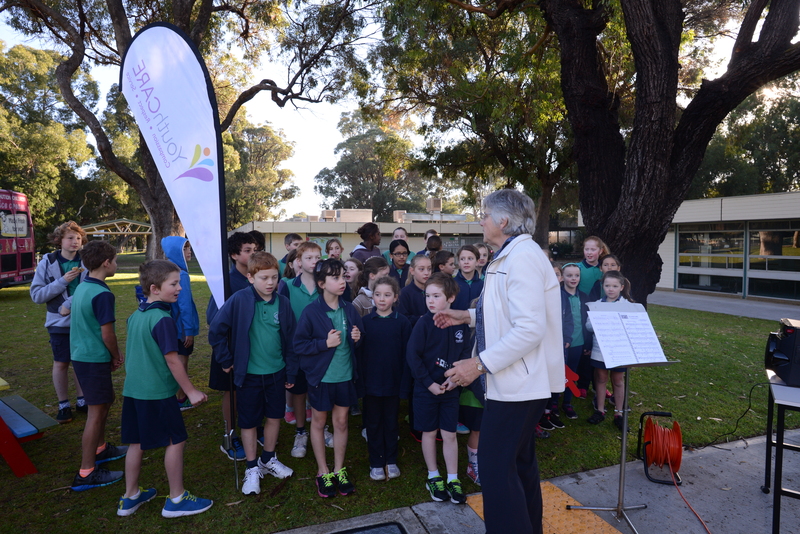 In addition to the school community, the West Coast Eagles club was also present to bring even more energy to the buzzing early morning atmosphere. 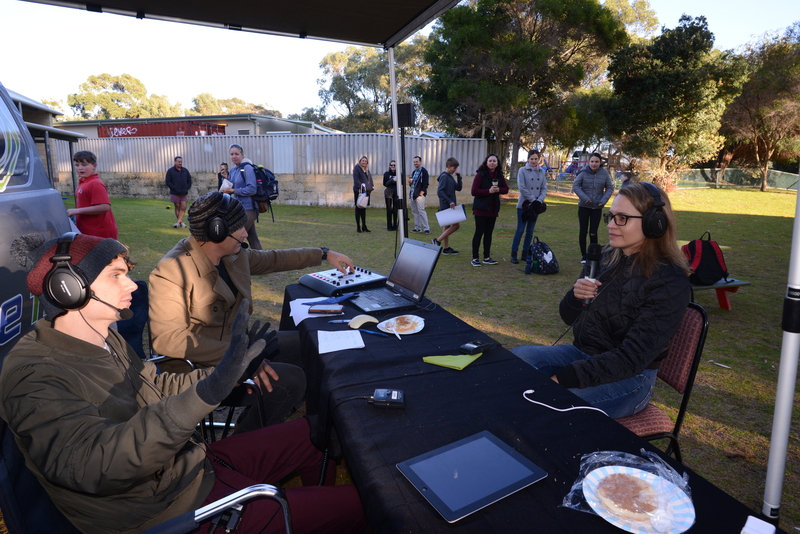 Visit our Free Coffee Friday page if you would like to nominate for Brekky to broadcast from your school.